1030-1080nm – AA propose a compact fiber modulator/pulse picker 1064nm, with a rise/fall time of 6ns and polarization Maintaining fibers. 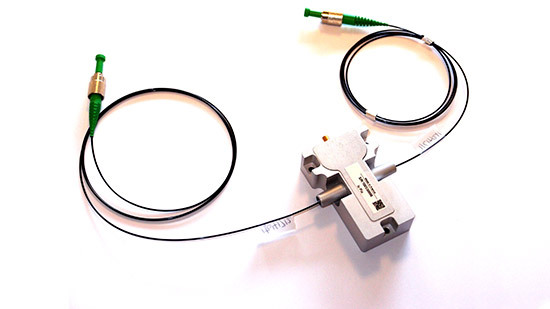 This compact pulse picker is suitable for 80MHz repetition rate pulsed lasers. In association with the PPKxx synchro driver from AA, this pulse picking set offers the most pulse to pulse picking stability performances of the market.